These are the recommended feeding amounts based on the ideal body condition for senior dogs of various weights. Individual dogs' energy requirements may differ. Adjust the amount fed to obtain or maintain your dog's optimum weight. Keep fresh drinking water available at all times, provide plenty of exercise and see your veterinarian regularly. 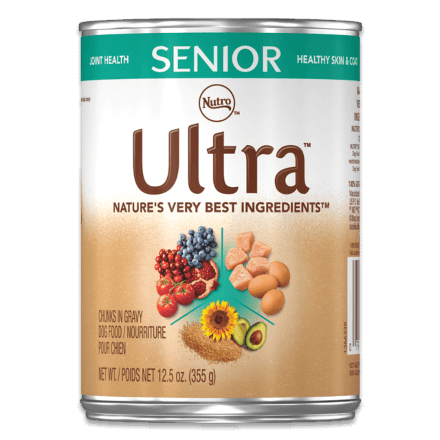 NUTRO ULTRA™ Senior Chunks in Gravy Canned Dog is formulated to meet the nutritional levels established by the AAFCO Dog Food Nutrient Profiles for adult maintenance.